This little disaster was given to me by my sweet Mother-In-Law. 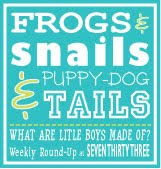 This little guy has great “bones” and it was the perfect style for my baby boy’s room! 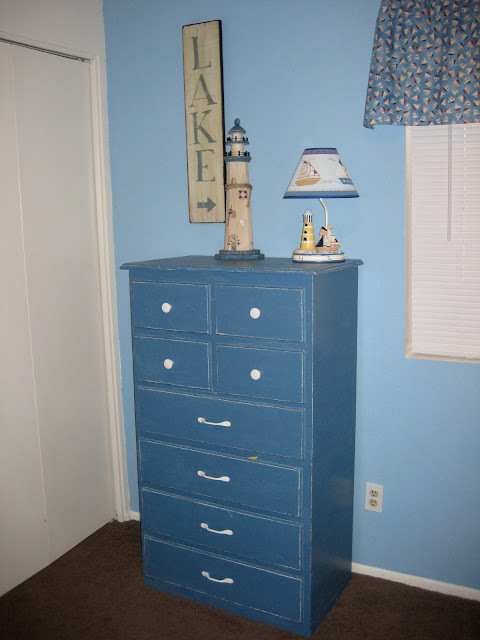 We were doing a Vintage Nautical theme in his room and I knew this dresser was perfect. 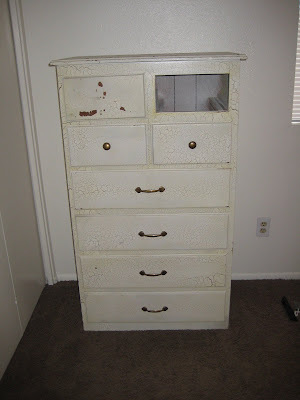 Can’t you see it’s potential behind all that crackle paint?? 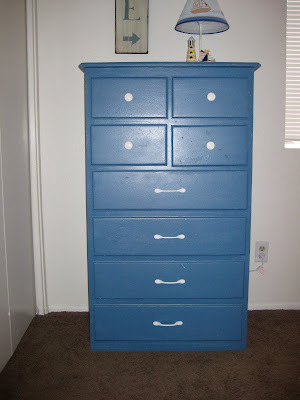 I hand painted it (wish I knew the brand/color) but it’s basically a denim interior semi-gloss paint. Then I found the knobs at Home Depot (love that place!) for $.99 each. SCORE! They helped tie in the white crib and changing table. After the paint dried, it looked a little to shiny and neat for me… so I sanded it down letting a little of the white paint underneath to peek through. It’s cute, just not the look I was going for. 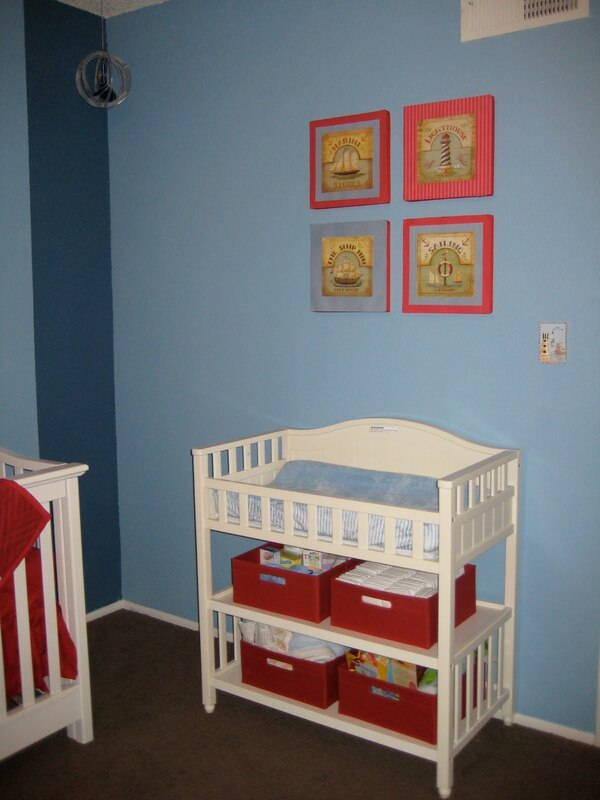 Here it is, all done in the nursery. I got the LAKE sign and the lighthouse from HL, Lamp from Babies ‘R Us, I made the valance above the window. I painted the wall ALL BY MYSELF I was so proud. I can’t believe I painted straight lines! 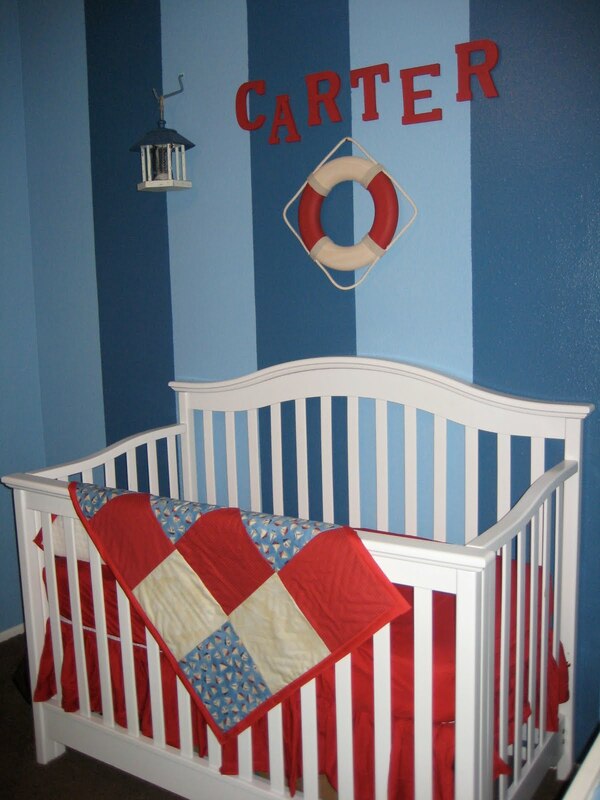 I also made the bedding and found the crib on Craigslist. I found the “CARTER” letters at HL(Hobby Lobby) for $1 each and painted those red with acrylic craft paint. I also got the life saver and the lantern from HL. Gotta love those 40% off coupons! Changing table came from craigslist too. 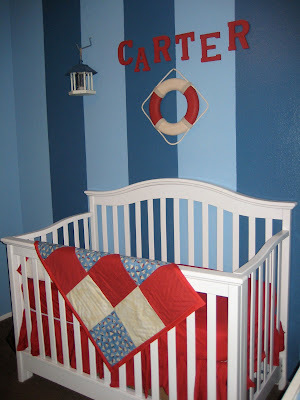 Bins and changing pad from Target and I made the nautical tiles above the changing table. I got the prints from ebay! Do you like how it turned out?? Submit your Boy Related projects here! 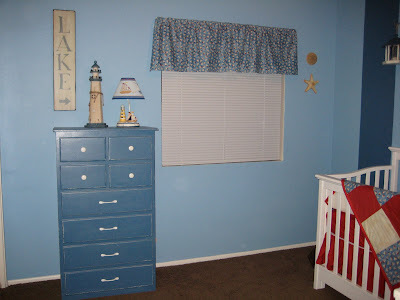 What an adorable room!!! 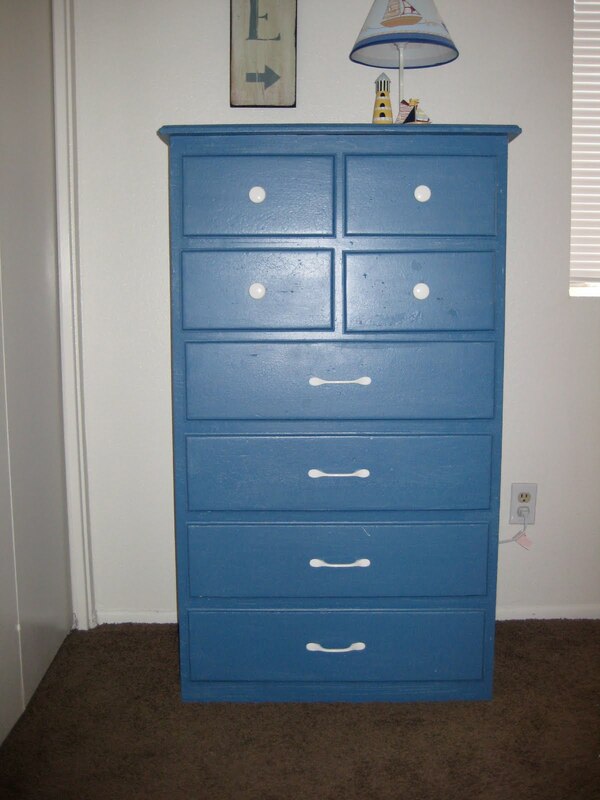 That dresser looks a million times better. Is Carter “here” yet? 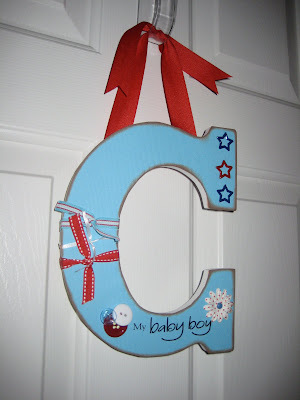 I have a Pregnant Party on my blog every Thursday and I’d love to have you link up.